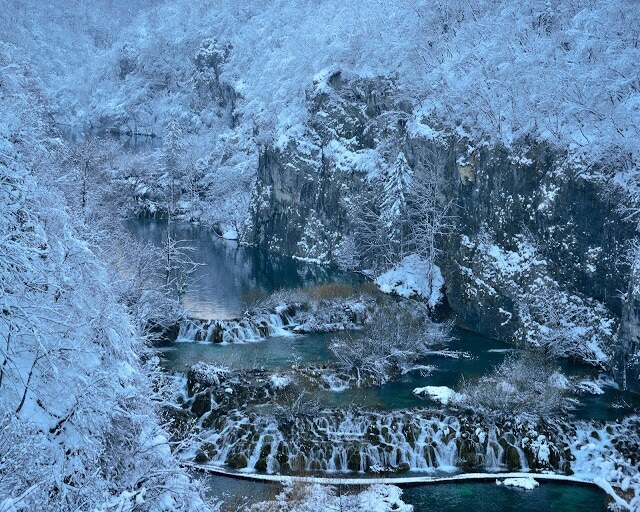 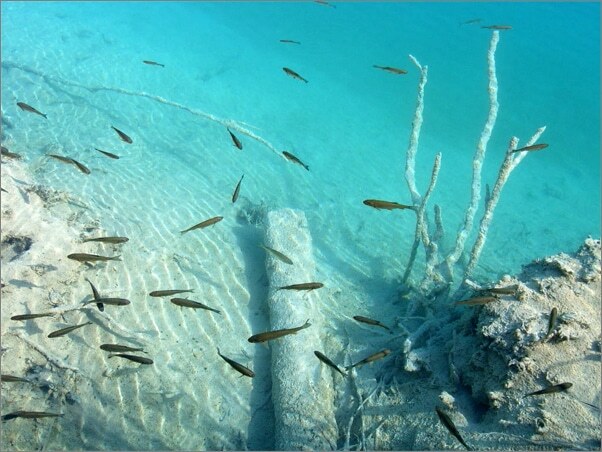 The Plitvice Lakes are protected as a national park and are part of the UNESCO World Heritage list. 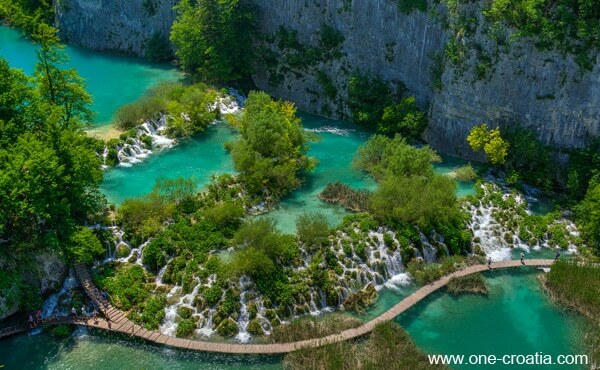 This is definitely one of the most magnificent parks in Europe and for many, the most beautiful national park in Croatia. 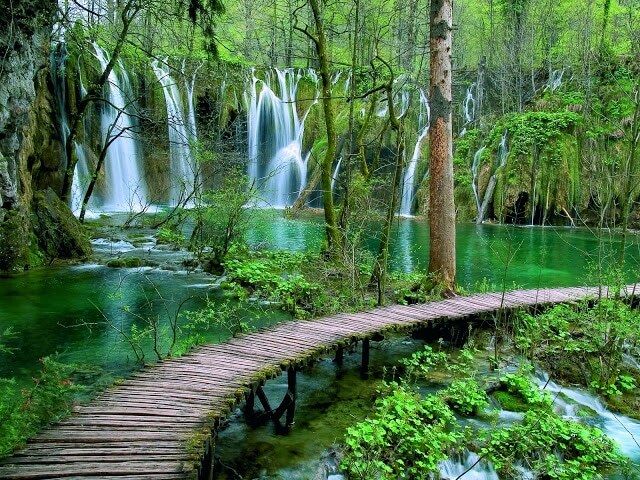 The Plitvice National Park is situated 140 km from Zagreb and 219 km from Split. 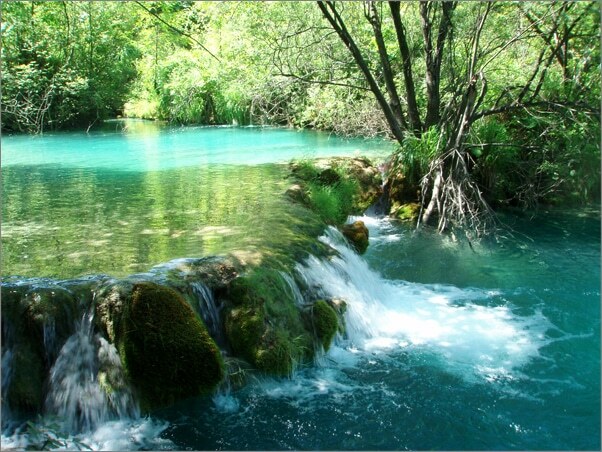 It consists of 16 lakes that are connected one to another by waterfalls. 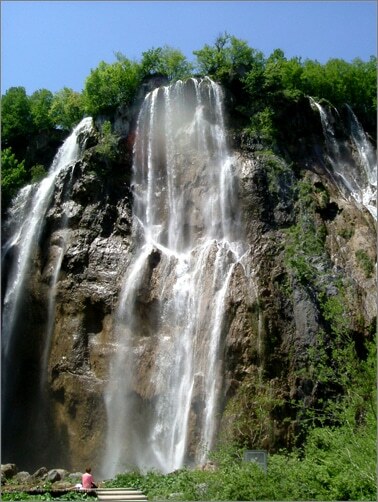 These waterfalls were created by the limestome sediments contained in the water, that were deposited between the lakes creating a limestone barrier known as tufa or travertine. 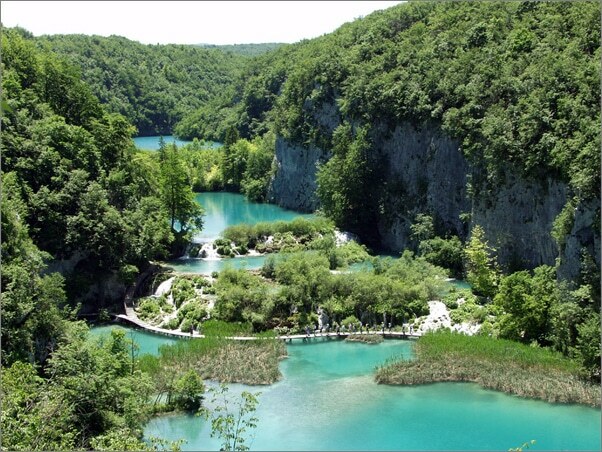 The flora of the park is composed of 267 plant species, including 22 endangered species protected by the Law of nature Conservation of the Republic of Croatia. 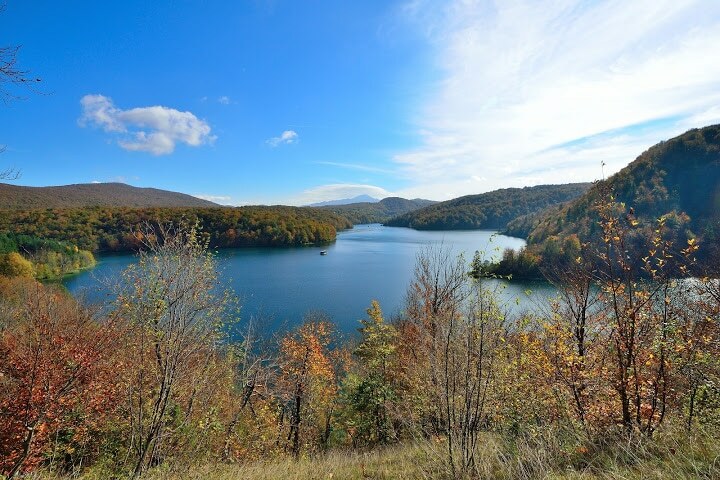 The fauna of the park consists of 157 bird species, 50 mammal species including the dormouse, the shrew, the snow vole, the hedgehog, the marten, the wild boar, 20 bat species and much more. 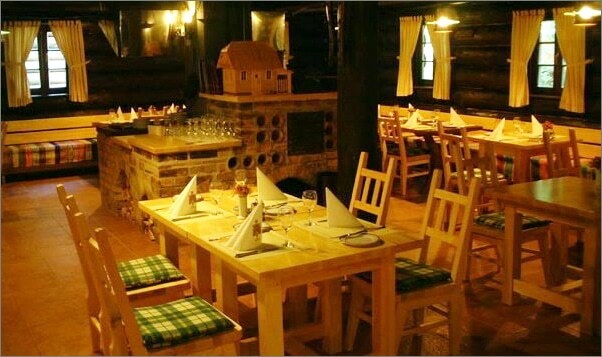 We should also mention the presence of the wolf, the deer, the wildcat, the lynx, the otter and especially the brown bear that is the symbol of the Plitvice national park. 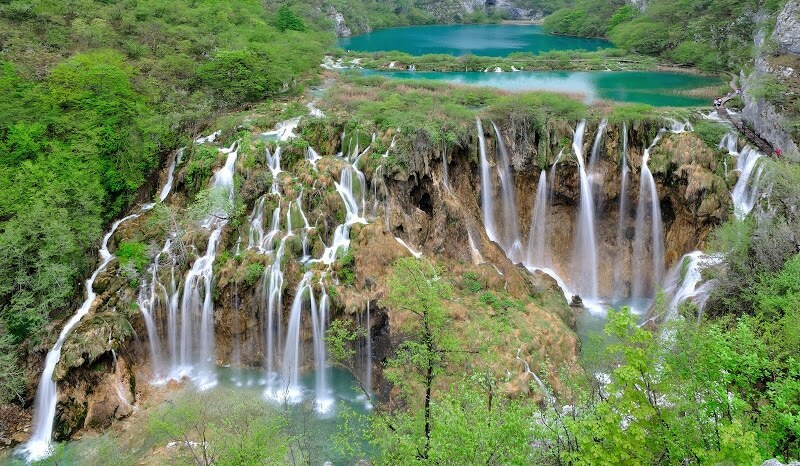 Plitvice national park covers an area of 29,685.15 hectares. 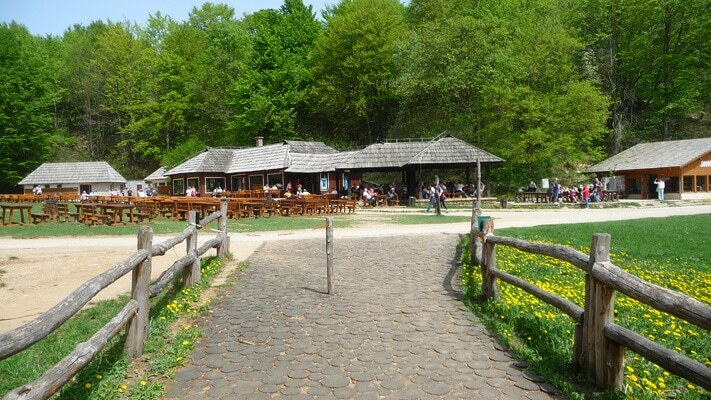 Even if the whole area is not opened to visitors, you can still spend hours strolling through the park and discover its amazing landscapes that change with the seasons. 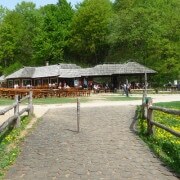 There are two entrances to the park called St1 for the number 1 and St2 for entrance number 2. 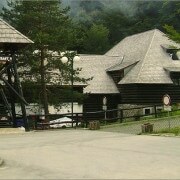 A paying car park is located at each entrance. 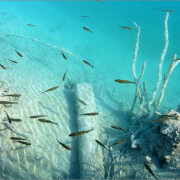 If you want to get rid of bulky items you should know that lockers are located at the entrance number 1. 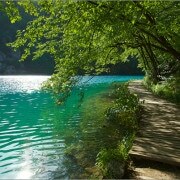 The 16 lakes are surrounded by paths so you can discover each one of them by walk. 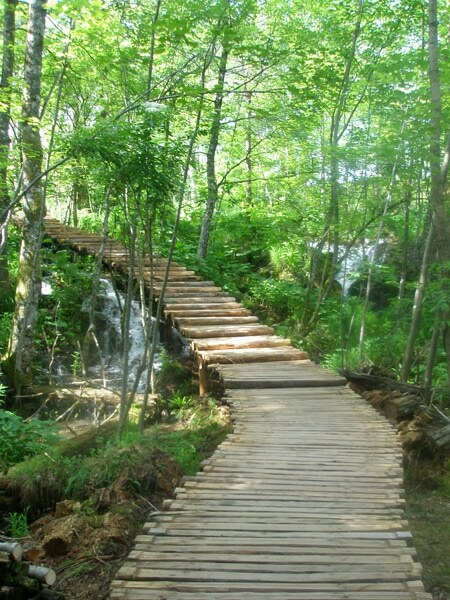 Some lakes are as well crossed by wooden footbridges. 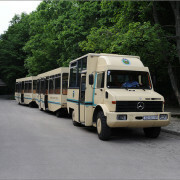 Once in the park you can take the electric train that goes from the highest to the lowest point of the park all day long. 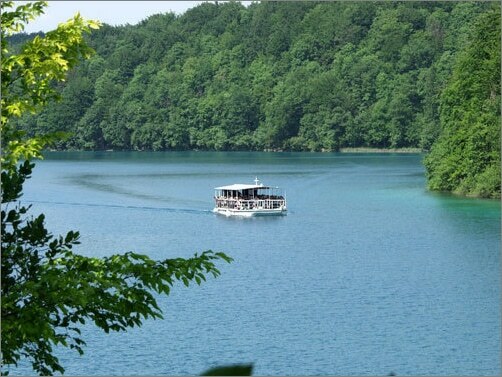 You can as well use the electric boat that crosses the largest lake called lake Kozjak. 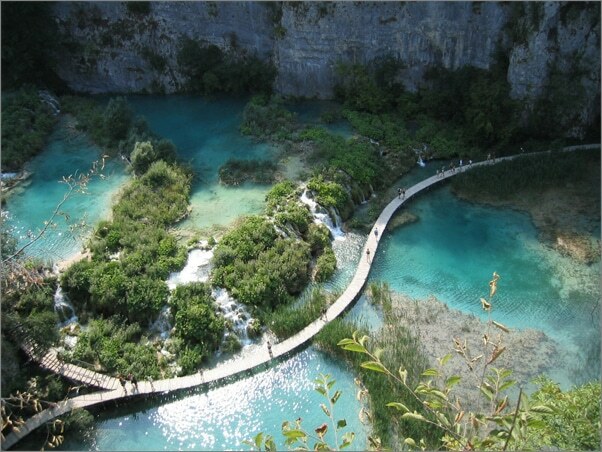 To visit Plitvice park you can choose between many itineraries that are represented by a letter and a color. 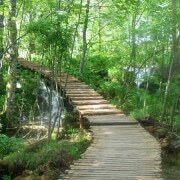 So once in the park you just have to follow the paths that are very well marked. 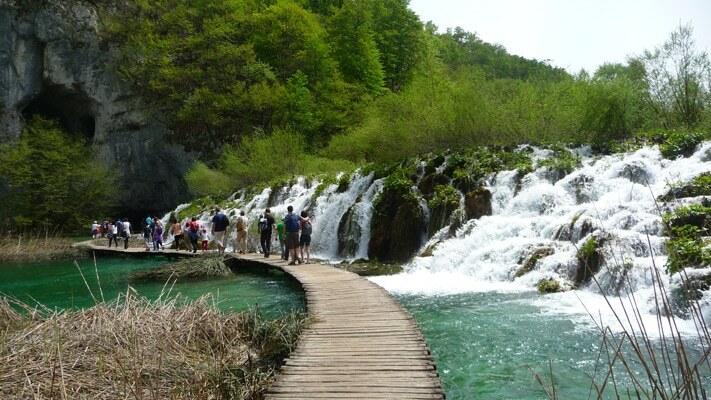 I personally recommend you to choose the itinerary H. This itinerary requires approximately 4 hours to visit the park Plitvice, but this doesn’t mean 4 hours walking since it includes the time to enjoy the landscapes and take pictures. 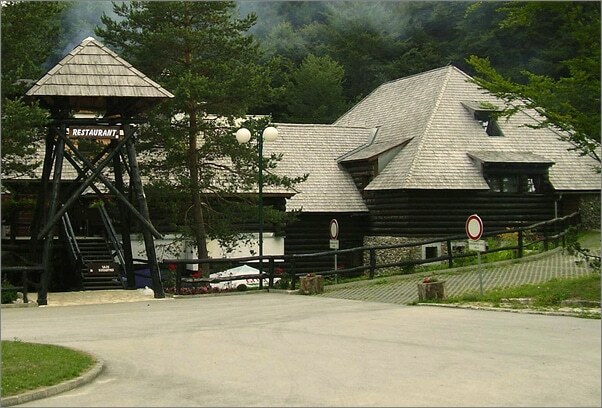 This itinerary begins at the entrance number 2, then you take the bus that will take you to the highest point. 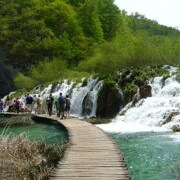 Once up there you will walk down to the lowest point and finish the visit with the Great waterfall. 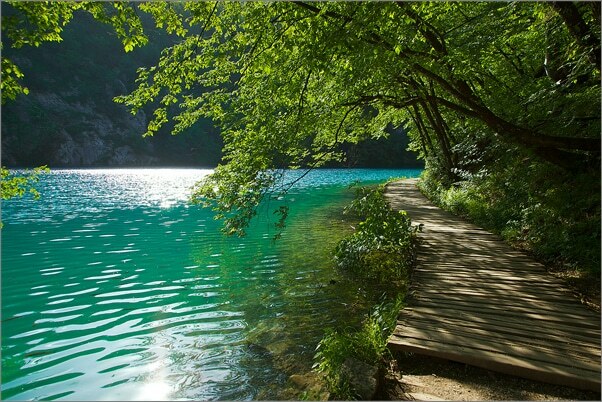 When you arrive at lake Kozjak, let’s say at half way, take the boat to cross it. 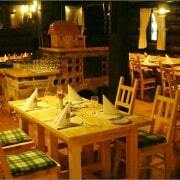 You will arrive at the point P3 where you can have something to eat and drink, and use the toilets. 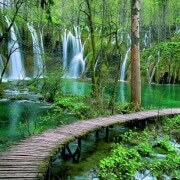 Then continue your walk down to the Great waterfall. 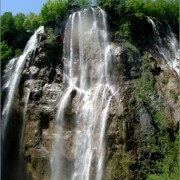 This is the highest waterfall of the park. 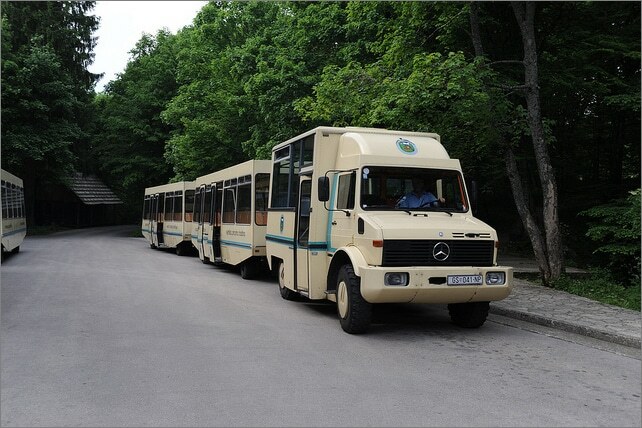 Then go up to the entrance number 1 where you can take the bus to the entrance number 2. 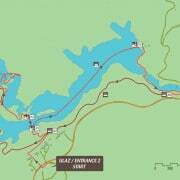 This route allows you to visit the entire park, and going down from the upper lakes to the lower lakes will makes the walk much easier than going up. 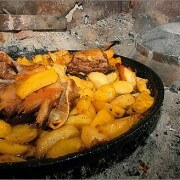 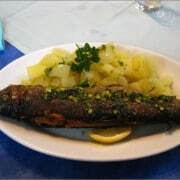 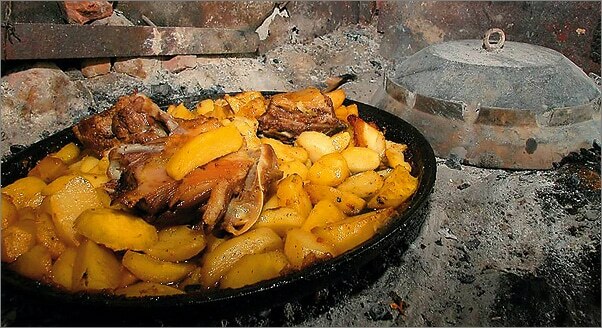 At the end of the visit do not miss to have lunch in one of the restaurants of the Lika’s region and try a specialty as lamb cooked under the ‘peka’ (a cast iron bell), lamb on a spit or grilled trout. 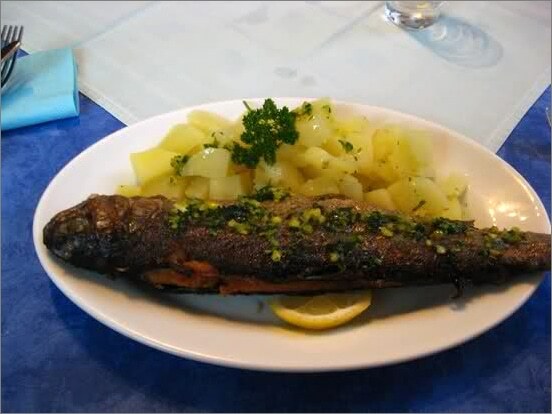 In front of the entrance number 1 you will find the famous typical restaurant Lička Kuća (the house of Lika) where I advise you to have lunch. 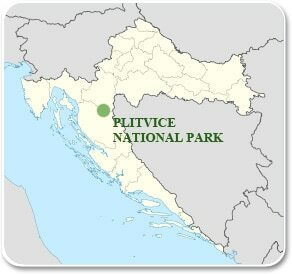 More information on the web site of park Plitvice.